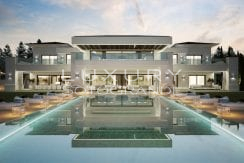 Magnificent luxury Villa project for sale in Sotogrande. The most private plot in this exclusive urbanization in the heart of the Natural Park of Los Arcornocales. Doñana is a project with more than 2500m2 built with an exquisite landscape over a plot of nearly 9000m2. Surrounded by an oak forest and the ripple of its water fountains, this project is an oasis of privacy and peace. The interior spaces have been decorated and conditioned; not in an isolated way, but as whole, where the landscape, the exterior design, the architecture, the decoration, etc, form, with the sum of the values, the harmony of the villa. 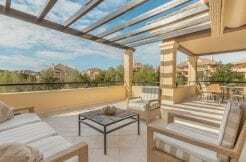 The ground floor, with direct access to the garden and to the magnificent swimming pool. The basement, with the Spa, gymnasium, wine cellar, etc. And on the top floor, the bedrooms. 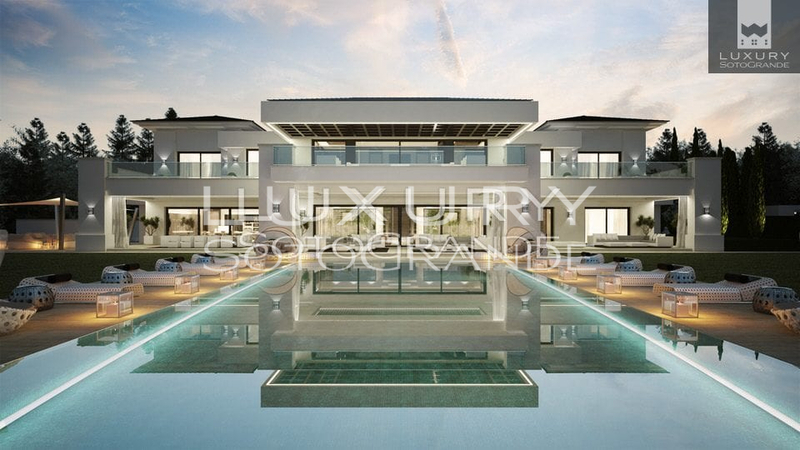 most up to date materials, such as glass, finest woods and marble floors will drive you in to this magnificent and charming home. Bright spaces that allow us to see everything as a whole, appreciate space completely without visual barriers. The bedrooms have infinite views overlooking the Natural Park. pool, tennis and paddle courts, and all the magnificent natural oak scenery. private terrace for the summer, hydro massage bath and an enormous dressing room. 2000 square meters available and conditioned for leisure, relaxation and sport. the Home Cinema, Spa, Indoor pool, Sauna, Wine cellar, etc. A complete home automation system. A system which allows you to control and activate the whole electric system, and switch the various machines on and off whenever you like by means of an easy to use remote control.